•	Manage the financial aspects of the school including payroll, billing, tuition, budget preparation, scholarship and budget reporting, and related recommendations to the Advisory Board. •	Foster community relationships through collaboration with the Union-Endicott Central School District and other area agencies and businesses. •	Use business skills to support the quality of the nursery school and resources to help families through scholarships, fundraising, grant writing, etc. •	Oversee building events, school security, student safety, social media and web presence. •	Maintain a cooperative and strong relationship with the church staff. •	Assist the Director of Education with the student database, maintaining supplies, planning and implementing a safe and effective nursery school operation. 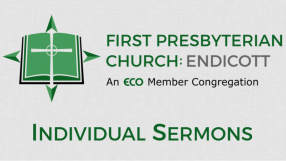 EFPNS is a mission of First Presbyterian Church of Endicott (FPC:E). Although the curriculum is currently non-sectarian, FPC:E is in the process of discerning how to build more intentional bridges between the church and the nursery school families. Nursery School Directors are considered staff of FPC:E; they report to the Pastors and follow their directives to leverage the school to help achieve FPC’s mission and vision to serve our community well. The new Director of Business must be enthusiastic about this collaboration and willing to work proactively to this end. The salary range will be $15,000-$17,000 depending upon experience. An application can be found below. All candidates should provide their resume when submitting their application. •	Prior work experience in early childhood education, administration, business, marketing, fundraising or other field with management duties. •	Experience planning and executing short, medium, and long-term projects. •	Experience working on adapting to the needs of a community through expanding, retooling or creating new ways to achieve one’s mission without compromising core values. •	Experience working with an advisory board. •	Strong written, verbal and interpersonal communication skills with demonstrated ability to effectively communicate to and with a diverse range of audiences. •	Advanced knowledge and application of technology solutions such as Microsoft Office, Adobe Creative Suite, website management, social media platforms such as Instagram, Facebook, and Twitter.